Moving to Malta? Here Are Some Tips to Get You Started! So, you landed your dream job and you’re ready to up sticks and move to Malta? This article is just for you! Moving to another country can be extremely daunting but, luckily, you’ll be moving to one of the best. In fact, Malta has just been named one of the most family-friendly nations in Europe! We’ve got some tips for you to help you get started, so carry on reading to find out more. First things first, you’ll need to find somewhere to live. When it comes to filling in any form whatsoever, you’ll need to give a Maltese address. If you’re looking to rent, you can contact a member of our QuickLets team who can help you find the right place. If you’re still abroad, the easiest way to get in touch with one of our agents will be over the phone or over e-mail/Facebook. Tell us your budget, your desired area, your moving date, your term of lease and any other specific requirements you have for the property (i.e. how many bedrooms you need or if you want a pool or a sea view or anything like that). Our QuickLets agents will then send you details of any properties that meet your requirements. They’ll send you information and pictures of the place, as well as take you on a virtual viewing, if you want! Once you’ve got your heart set on the perfect property, you can make a deposit and reserve it. Then, when you move, you’ll be able to meet the landlord and sign the contract to your new home! Hassle-free renting – that’s how we like to do it! If you’re undecided as to where you’d like to live in Malta, then you could choose somewhere near to your work just for the first 6 months. Then, when you’ve gotten better acquainted with the island, you’ll be able to find somewhere more permanent. 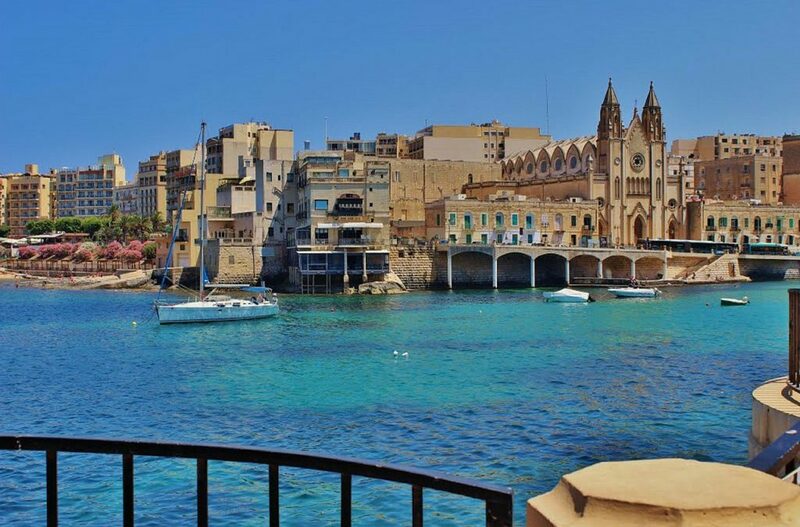 Sliema and St. Julian’s are where many offices, shops and bars are concentrated, and they are both very popular areas. One-bedroom apartments in these areas often rent upwards of €800. If you’d like to live somewhere that feels more residential, you could look in Mosta, Naxxar or Balzan, for example. However, be aware that if you have to commute to St. Julian’s or Sliema for work, you’ll be battling with the traffic! If you need a recommendation, be sure to ask your QuickLets agent, who will be more than happy to give you some suggestions and help you decide where’s best for you. Once you’ve got an address in Malta, you can make a start on your paperwork. In the beginning, you will need to register with Jobsplus. This is Malta’s Employment Authority. Ask your employer to send you an Engagement Form (if they haven’t already) and fill out the necessary information so that you can complete the registration process. It’s pretty simple and you’ll need to be registered here before you can apply for your Residence Permit or anything else. Your employer might be able to help you with this, and with all the other bits of paperwork, so it’s definitely worth asking them. Especially if you’re coming here to work for a big, international company as they probably have employees doing this all the time. Up next, your Social Security Number! Again, this is very easy and you can complete the application online. To apply for this, you’ll need to upload a copy of your passport or ID card, a copy of your engagement form and give your Maltese address. Not sure exactly what your new address will be? Ask your QuickLets agent to confirm this for you! You should get this number within two weeks or so and, once you do, you can move onto the next stage! After you’ve got your Social Security Number, you’ll want to apply for your Tax Number, which you can also do online (over e-mail). Once you have both of these, you can fill in an FS4, otherwise you’ll be charged emergency tax. Again, you should be able to ask your employer to help you with this process. Being employed, you’ll find it easy to apply for your Maltese Residency Permit. All non-Maltese nationals will need to go to Valletta to apply for their Residency Permit. You can download the form online, which you can fill in prior to going to the Department for Citizenship and Expatriates Affairs in Valetta to complete your application. www.gov.mt and www.identitymalta.com are both very helpful websites. Just be careful, though, as sometimes the forms/web pages aren’t updated all the time and you might find you bring the wrong paperwork or you miss something important, thanks to out-of-date information. For this reason, it’s always best to make a phone call beforehand to confirm you have all the right information. Be aware that offices often close early in Malta in the summer so you might not be able to get hold of anyone after 1 or 2pm if you’re moving at this time of year! Of course, all of this advice is for those of you who have landed a job! However, you can also apply for your Residency Permit if you’re self-employed or economically self-sufficient or for several other reasons… but there are also other ways to gain residency in Malta. For instance, 5 years ago, in 2013, the government launched ‘The Malta Global Residency Programme’. Through this programme, non-Maltese nationals (except Swiss and EEA nationals) can apply for Permanent Residency. Applicants will be able to apply if they meet certain criteria, such as: paying a minimum annual tax; renting a property of a certain value for the required number of years or buying a property of at least a certain value. You can find more information about the Malta Global Residency Programme and how to apply at: www.cfr.gov.mt. If you are thinking of applying for this, don’t forget to get in touch with our QuickLets agents. They’ll most definitely be able to help you find a property to rent that satisfies the conditions of the programme. If, on the other hand, you’re looking to buy a property in Malta and apply for this programme that way, you can contact our sales company, Zanzi Homes. Collectively, we have the largest property database on the island so, whatever you’re looking for, our agents will be able to serve you well. Don’t hesitate to get in touch with a member of either team and we wish you good luck with your move to Malta!